If you’ve ever just wanted an armful of lush blooms for your wedding day bouquet, look no further. Yana is a Houston florist who uses very little (if any) greenery in her bouquets. They’re so full and luxurious. The flowers honestly don’t even look real, like they’re made out of a velvet/ porcelain hybrid. Plus, she’s very discerning, so you’ll only receive the best flowers. Seriously, take a gander at this shoot we worked on together. Never have I wanted to bury my face in a bed of flowers before this shoot. Yana came to me with her grand idea of a dream shoot to represent her & her flowering business (pun intended). It was luxe, high end, and European inspired in visuals. 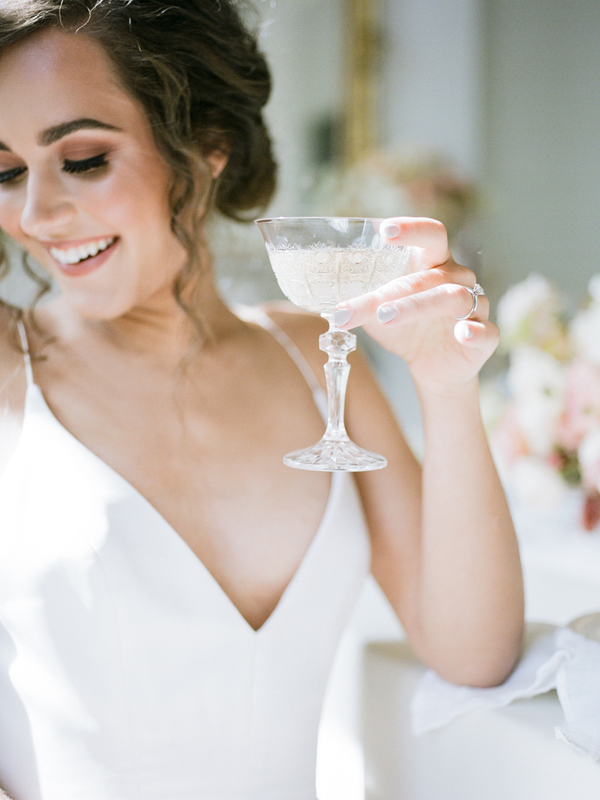 The obvious venue for this shoot was The Creative Chateau in Houston, Texas. It’s french inspired architecture and curated decor are the perfect nods to a destination venue without the hefty plane ticket. I also took some images of the space a couple months back if you want to check it out. The other details of the day were some very french-looking (and very fabulous, if you ask me) table setting items from Casa de Perrin, dreamy paper goods by Dreams & Nostalgia, a luxe wedding gown by designer Dear Heart Bride from Lovely Bride, and a delicate handmade bridal hair accessory by Erin Rhyne. 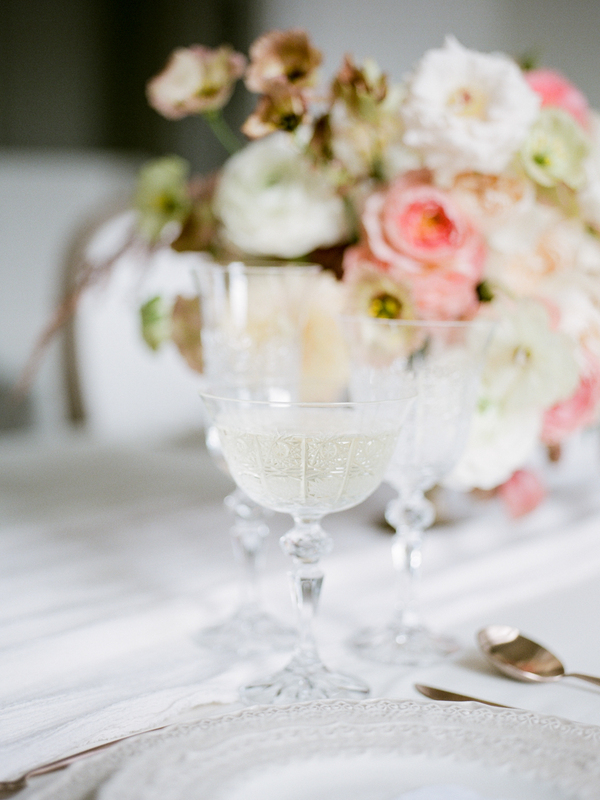 Everything came together beautifully to create a clean and dreamy look. Her work’s aesthetic alone has put her on my short list of florists I recommend to the clients I work with, but alongside that, she is so sweet with a giving heart and so fun to be around. I’m so glad that all of the hard work she put into this shoot got the recognition it so deserves by being published in Brides of Houston & The White Wren. I hope you enjoy scrolling through these. Put on Clair de Lune by Claude Debussy for the full effect :) Have a great weekend, everyone!